Many do not understand how important sufficient digestion of food is to their well-being. Undigested food particles lead to toxic bowel build up and “leaky gut”. This, in turn, can begin the process of food and other allergies, inflammation, stress to the liver, kidneys, and lungs, and many other symptoms which may not be immediately associated with poor digestion. These can be identified by the Loomis Digestive Health Assessment and addressed by the addition of food enzymes to assist digestion of the food groups that are causing a problem. 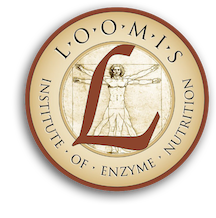 More information on the Loomis Digestive Health Assessment can be viewed below. A Digestive Health Assessment can pinpoint where the problem areas are, and a protocol can be developed to support the stressed organs and allow the body to heal itself. Assessments can be “Add-on” to the Bio-energetic test, or can be “Stand-alone”. The Digestive Health Assessment can also be done from a distance; if you know of friends or family who do not live near Fort Mill, they can still benefit from this service.